I bought a huge bunch of fresh rosemary, and I dried most of it in the oven, but I wanted to do something with a small amount while it was fresh. Cold and miserable weather (snow in October!) always inspires me to make something that takes a lot of time, but not a lot of attention–bread! 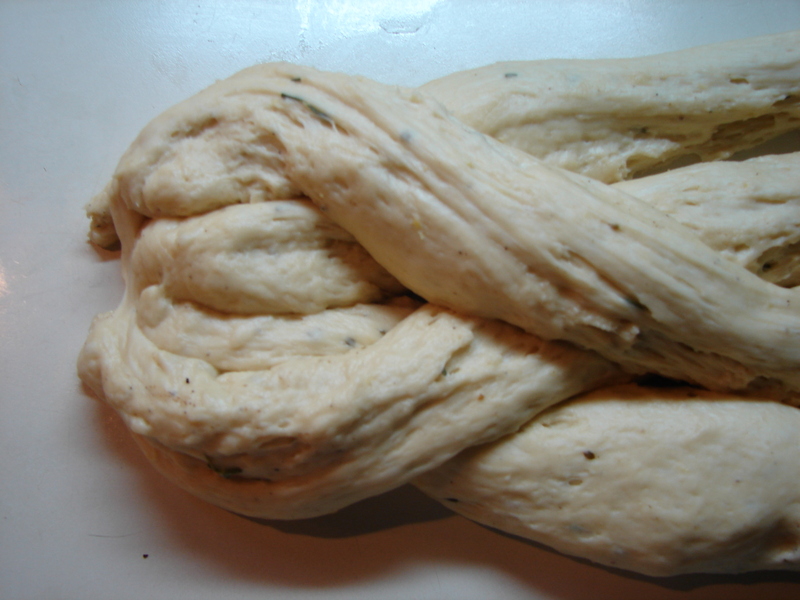 I decided to make a brioche-type of dough, playing on the secret sweetness of rosemary. And I added green peppercorns and a bit of lemon zest, two other flavors that seem to span the salty/sweet divide. The result is a rich, finely-crumbed bread with a very subtle flavor. Nice the first day with soup, and very good toasted with salted butter the next day. It would probably make a good grilled cheese sandwich with some mild and salty cheese, but there’s none left to try it out on! Here’s some wise advice from Justin Hinds…Save a Bread to listen to while you wait for your dough to rise. 1 t. lemon zest, very finely grated. 1. Dissolve the sugar and yeast in the warm milk with a pinch of salt. Let it sit until it’s quite foamy. 2. Cut the rosemary and peppercorns and lemon zest very very finely – to make almost a paste. 3. In a large bowl, combine the flour the rest of the salt, and the rosemary mixture. Make a well in the center and add the egg, the softened butter (1 T at a time) and the milk & yeast. Stir it all together, and add warm water, just enough to form a nice ball of dough. Knead it for 5- 10 minutes until it’s smooth and elastic. 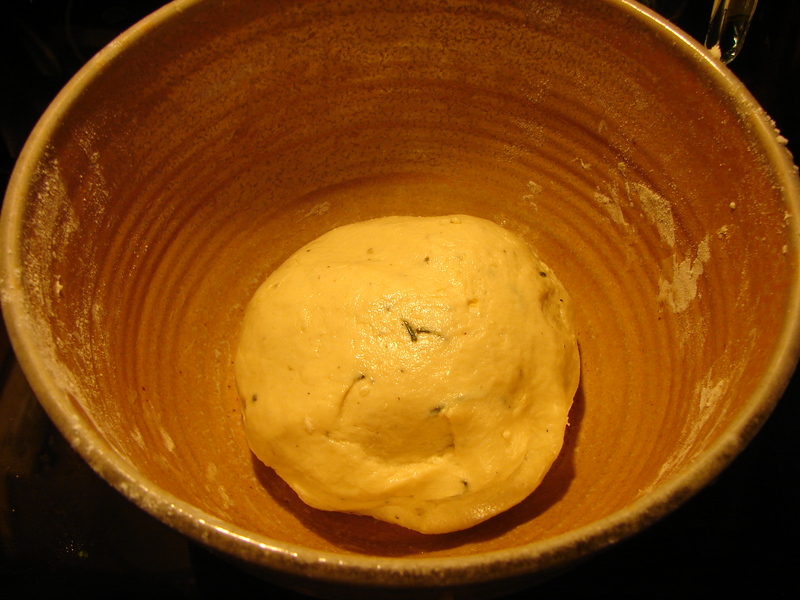 Put a little olive oil in a bowl, and put the kneaded dough in, turning it all around so it’s coated with oil. Cover with a damp cloth and put in a warm place to sit until it’s doubled in bulk. About 1 1/2 hours should do it. 4. Punch it down and let it rise again for 45 minutes to an hour. 5. 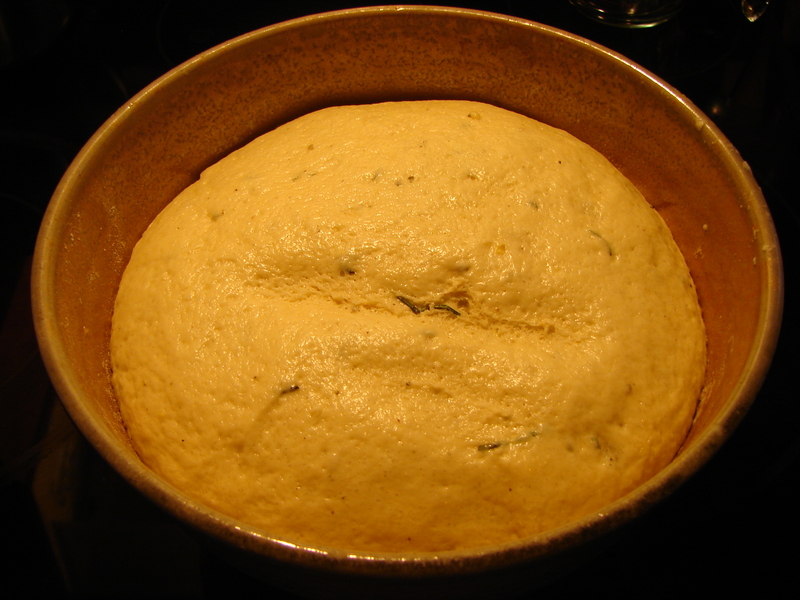 Divide the dough into 4 balls, and roll or pull them into strands about the size of your bread pan. Braid them by pulling the outside strands over the inside strands and crossing them over each other. Repeat! It doesn’t need to look wonderful at this point, it will still look good when it’s cooked. Leave it to rise again for about 1/2 an hour. 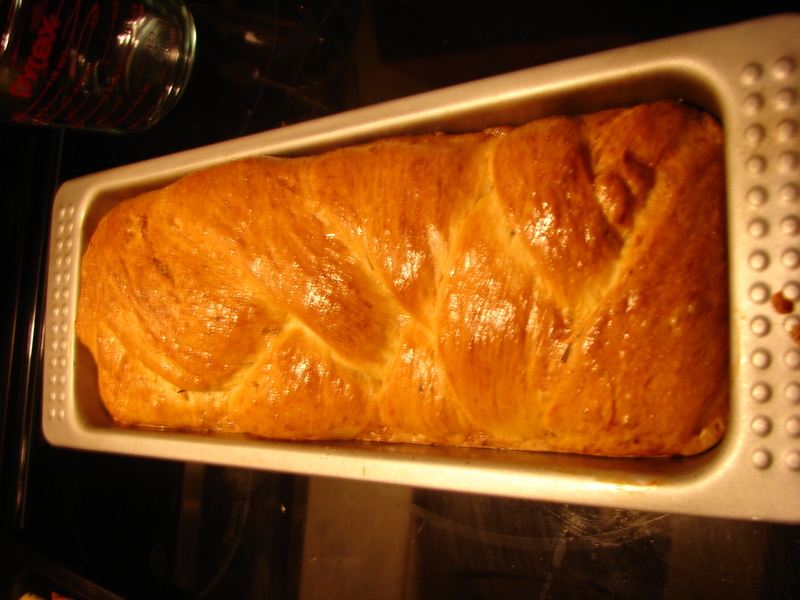 This entry was posted in bread, recipe and tagged brioche, green peppercorns, justin hinds, Rosemary bread by Claire. Bookmark the permalink. I made a sourdough loaf today and am eating it right now. But it’s not heavy and I haven’t got a bottle (yet).